The greatest challenge and responsibility in contemporary worship is distinguishing between the fire and the ashes to stoke the fire of God's presence while simultaneously disposing of the ashes of obsolete worship styles and practices. As contemporary worship moves from traditional to modern to postmodern, how can pastors and worship leaders be sure they are retaining what is essential to genuine worship even as they leave behind the practices of the past? Ken Heer challenges church leaders to rediscover the power and significance behind the church's ancient rituals and sacraments so the fire of God's presence in them can be carried forward to present and future generations. Heer offers substantive discussion on the meaning of our rituals as well as practical guidance on transferring these ancient forms into modern and postmodern worship settings. 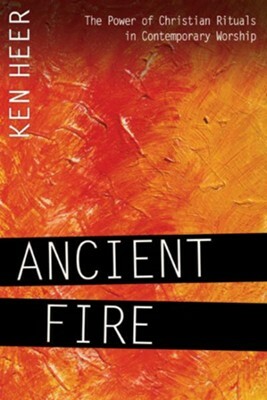 I'm the author/artist and I want to review Ancient Fire: The Power of Christian Rituals in Contemporary Worship - eBook.